One of the hottest new mobile games - completely free and addictive as a hell is now available on Windows Phone. One of the biggest challenges of ninjas is jumping. 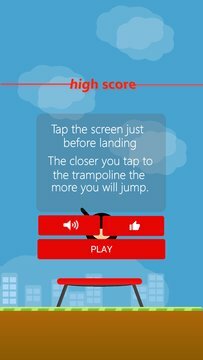 Tap the screen just before landing on the trampoline - do not let your ninja to hit the ground. If the timing is right, the ninja will jump more. If the timing does not fit, it will jump lower. 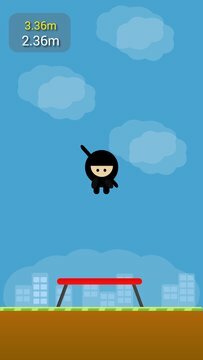 Compare your results on the TOP 100 world-wide scoreboard and try to get the title of the ninja master.